The current issue of the journal examines East African and Indian Ocean perspectives on Africana religions. The issue also features a roundtable on Islamophobia. This peer-reviewed journal published semi-annually by The Penn State University Press offers critical analysis of Africana religions, including the religious traditions of African and African Diasporic peoples as well as religious traditions influenced by the diverse cultural heritage of Africa. An interdisciplinary journal encompassing history, anthropology, Africana studies, gender studies, ethnic studies, religious studies, and other allied disciplines, the Journal of Africana Religions embraces a variety of humanistic and social scientific methodologies in understanding the social, political, and cultural meanings and functions of Africana religions. We invite authors to submit articles and review essays that examine African traditional religions, Islam, Christianity, new religious movements, and other African and African Diasporic religious expressions and experiences. 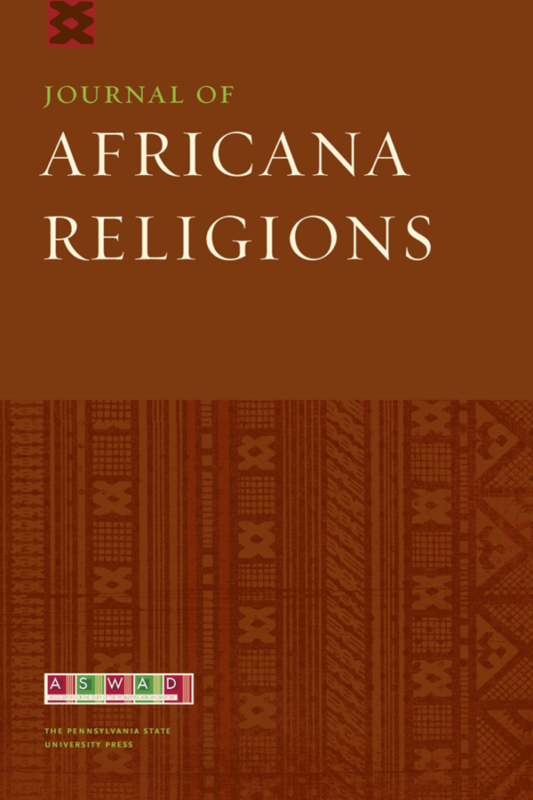 The chronological scope of the Journal of Africana Religions is comprehensive and invites research into the history of Africana religions from ancient to contemporary periods. The journal’s geographical purview is global and comprises Africa, the Americas, Asia, the Atlantic islands (such as Cape Verde and São Tomé), the Caribbean, and Europe. The journal is particularly concerned with publishing research on the historical connections and ruptures involved in the spread of Africana religions from within and beyond Africa. Emphasizing the historical movement or spread of Africana religions and the dynamic transformations they have undergone underscores the nuanced, complex history of these religions and transcends the essentializing gestures that have hindered previous generations of scholarship. For this reason, we encourage authors to examine multiple dimensions of Africana religions, including the relationship between religion and empire, slavery, racism, modern industrial capitalism, and globalization.